I will be posting two jam recipes this week that I gave as gifts this year to close friends and teachers. 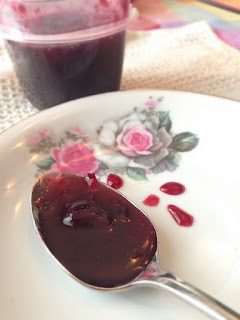 I fit in these crazy projects in the middle of all the holiday madness, and I vowed in the future I will make jam in the lazy days of summer with fresh fruit, and I will be all set for gifts in December! (Let's see if that happens?). At any rate, I made this lovely cherry jam with hints of lemon and the smoothness of vanilla bean. You are probably saying, "Hold up lady, where did you get cherries in December?" I give you, the magic of the freezer section. 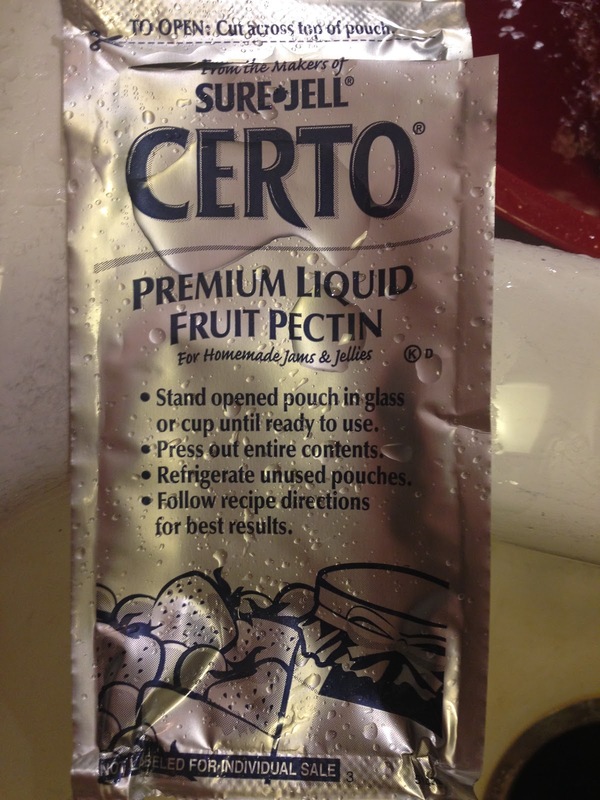 Because cherries don't have a lot of natural pectin you will need pectin to help with the gelling process. 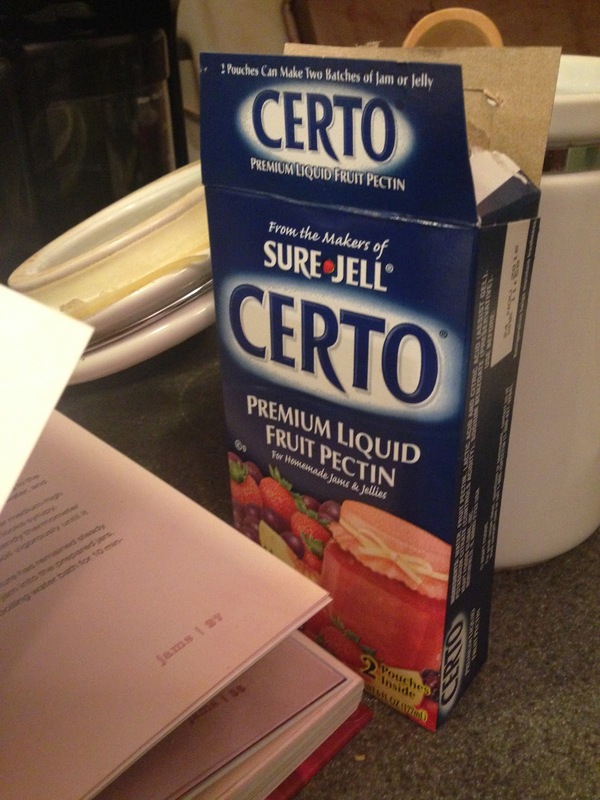 I decided to try a liquid pectin which worked out well. 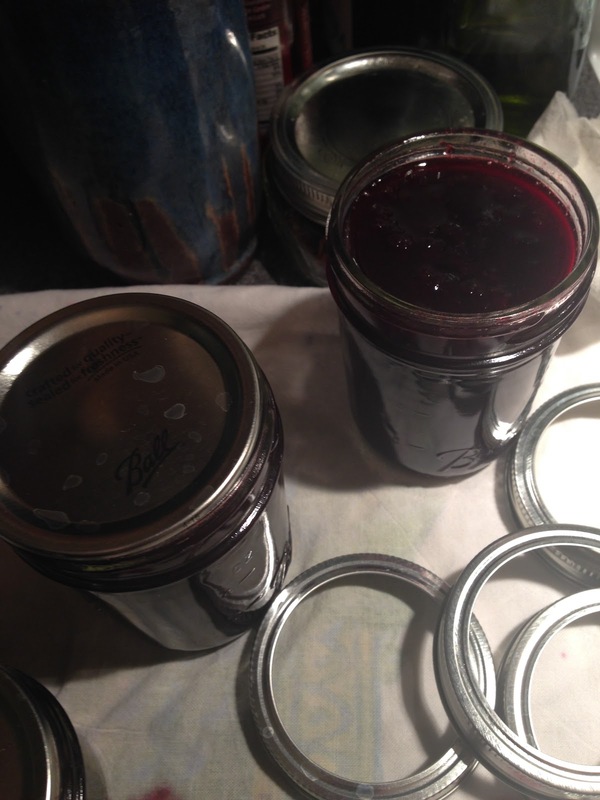 I let the vanilla bean halves cook with the cherries, and pulled them out right before jarring and processing. I kept a little left over jam for us in the fridge to taste it and make sure it was A-Ok before giving out to people. This is a good practice I recommend, so you know you are giving people safe and yummy things in jars. Happy to report that this was just lovely. 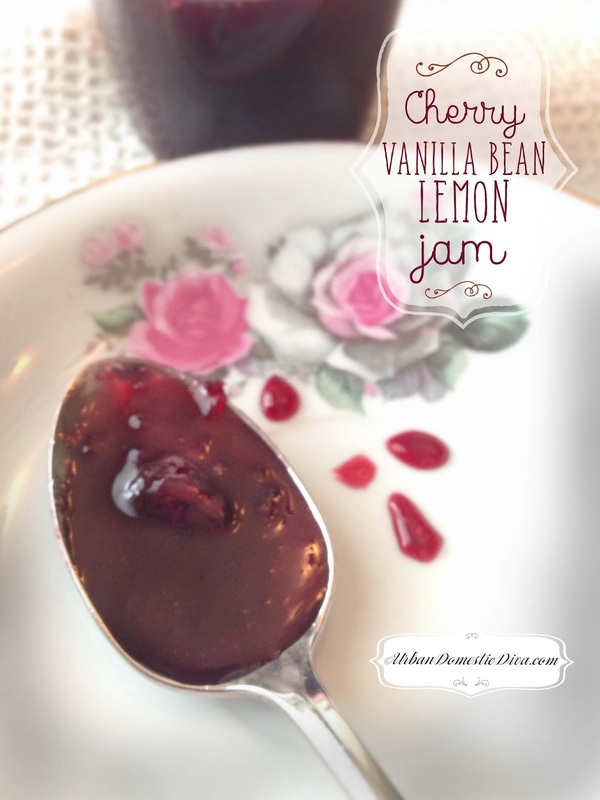 The citrus kept the cherries nice and bright, and the vanilla made things creamy and yummy. On a nice piece of toast in the cold of winter, this is a gift to treasure for sure. 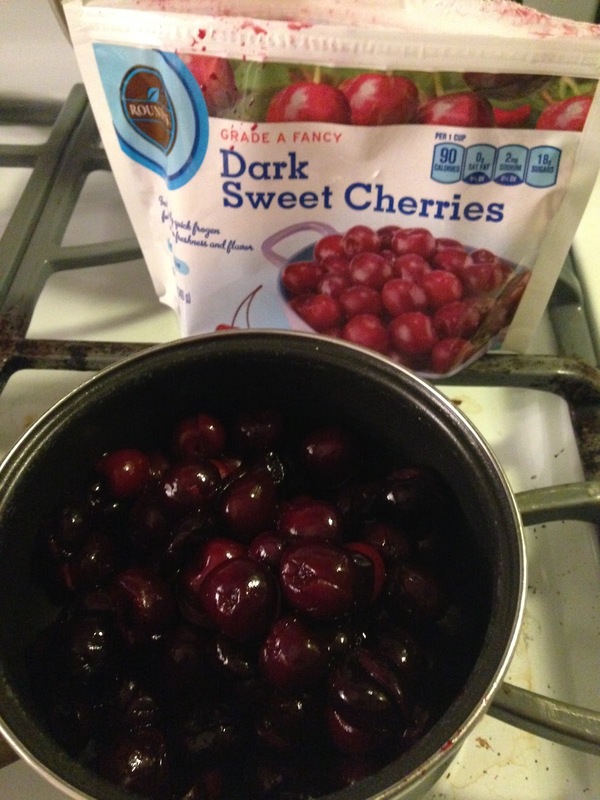 In a nonreactive bowl combine the defrosted cherries with one cup of sugar and the vanilla bean seeds and pods. 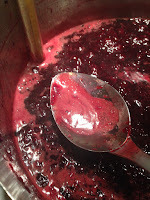 Let the mixture sit at room temperature until the sugar begins to pull the liquid out of the cherries, about a half hour. Meanwhile sterilize your jars. 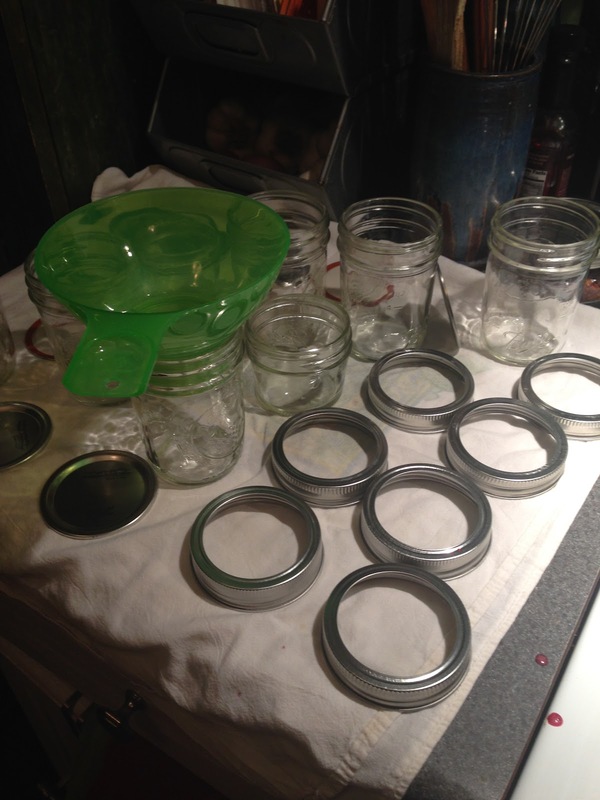 I had about 8 half-pint jelly jars and some smaller jars in case I had extra. Have a giant pot of boiling water and immerse your jars and lids in the hot boiling water for 5 to 10 minutes then pull out and air dry until ready to fill. (for some how-to videos on canning basics go to my youtube channel canning playlist or the video section of my blog). Remove the macerated cherries and pour into a large pot. Add the remaining 4 cups of sugar, the lemon zest and lemon juice. Bring to boil over high heat. This jam will be foamy, fyi. Cook on high heat for 15 to 20 minutes, stirring regularly until it takes on a thick consistency. Skim off the foam with a large spoon off the top and discard as the jam cooks. After ten minutes, take a potato masher and mash some of the fruit with it. 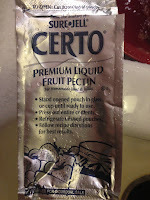 At this point add the pectin to the fruit mixture and bring to a rolling boil. Insert your candy thermometer into the jam by attaching it to the side of the pot and let the jam boil vigorously until it reaches around 220°F. Once it reaches this temperature and remains at this temperature for about two minutes, remove it from the heat. 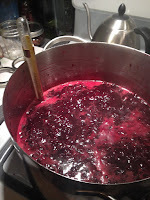 Pull out the vanilla bean pods, then ladle the jam into the prepared jars leaving 1/2 inch of head space. Wipe the rims clean and apply the lids and rings and process in boiling water for 10 minutes. Take them out and let cool at room temperature. You will hear the lids pop as they cool, which means that they are sealed nicely. Check your seals, tighten your lids and let them stay at room temperature without touching them for another 24 hours. Then label each and put them up, making sure to put a date on the labels because jams only last in this manner for about a year.